Screen cap of the story as it appeared online in April 2014. My reporter colleagues and I interviewed over 140 MLB players during Spring Training in February. Here’s what we found. 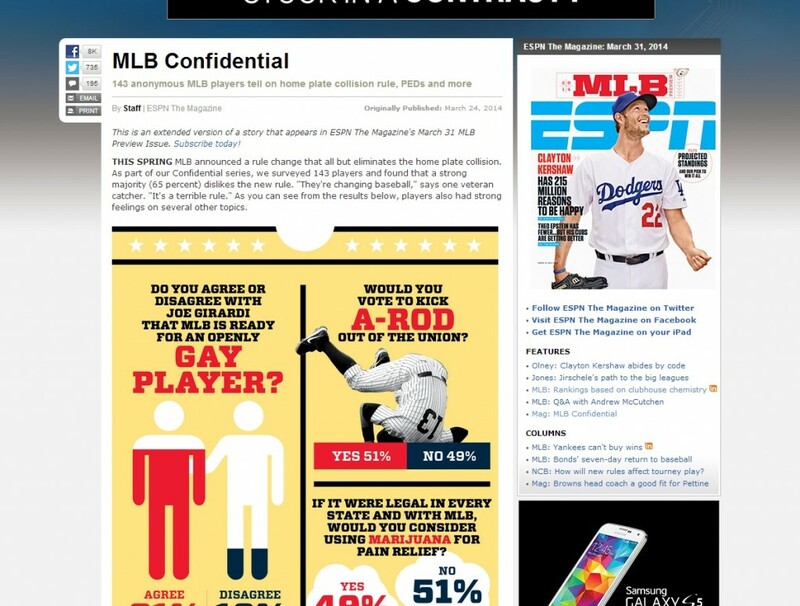 This entry was posted in ESPN the Magazine, Work samples and tagged espn, interviews, MLB. Bookmark the permalink.